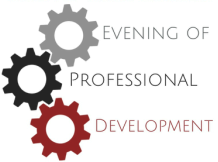 The Society of Women Engineers of San Diego State University would like to extend you an invitation for this year’s Evening of Professional Development. The event will be held on Thursday, October 25th, 2018 in Montezuma Hall in the new Aztec Student Union located on SDSU’s campus. - Send an updated resume to swesdsuvp@gmail.com by October 23rd at 10pm. - Contact a SWE officer to give them your cash payment. This can be done at a meeting, or can be scheduled through email. Take note of what officer you make the payment with; you will need their name for the form below. - Please bring exact change if possible (if not we will help you out), and attach a small piece of paper to your cash with your name and email address. Once your payment has been made, the officer will give the payment to the Vice President to be matched with the information provided on the form below. - Please contact swesdsuvp@gmail.com for more details on prices, rules, and how to make the purchase. - You will be required to have every attendee complete the ticket form and send in a resume to swesdsuvp@gmail.com. If you have any questions about the benefits of attending this event, and are on the fence, feel free to contact any officer with your questions. ​We are excited to announce our honored keynote speaker this year will be Bonnie Theberge from ​NASA Jet Propulsion Laboratory.